Had a go on a lapping machine at weekend. A friend was servicing and repairing a 1970's Omega but the case, bracelet and crystal definitely let it down a little. So I said I'd have a look at it for him and see what I could do. 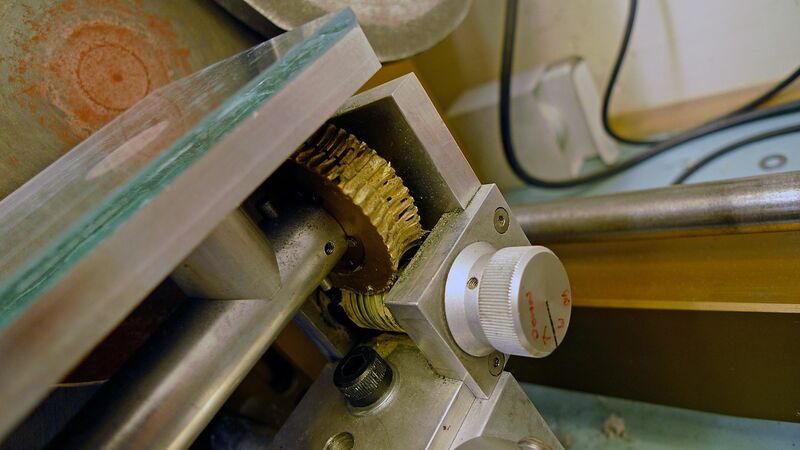 For those that don't know a lapping machine is a series of rotating discs (usually two or three) that can grain and polish a watch back to practically factory fresh. The first disc is a course grain and is used for prominent texture like a sunburst graining. 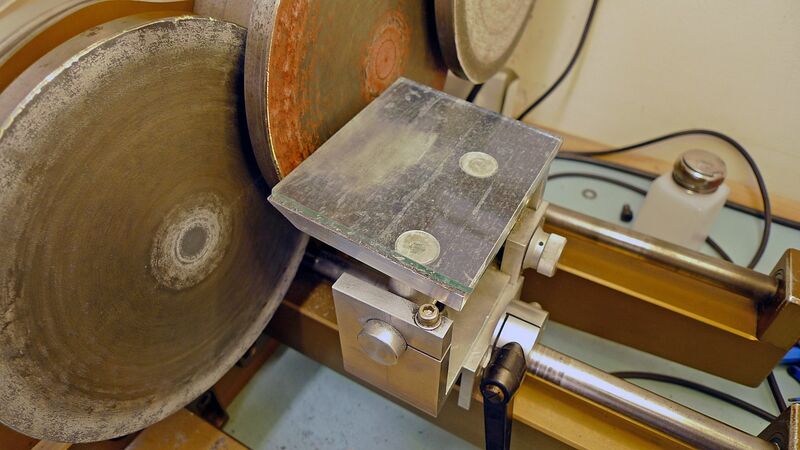 The second disc is medium grain and is used for case sides with horizontal graining for example. 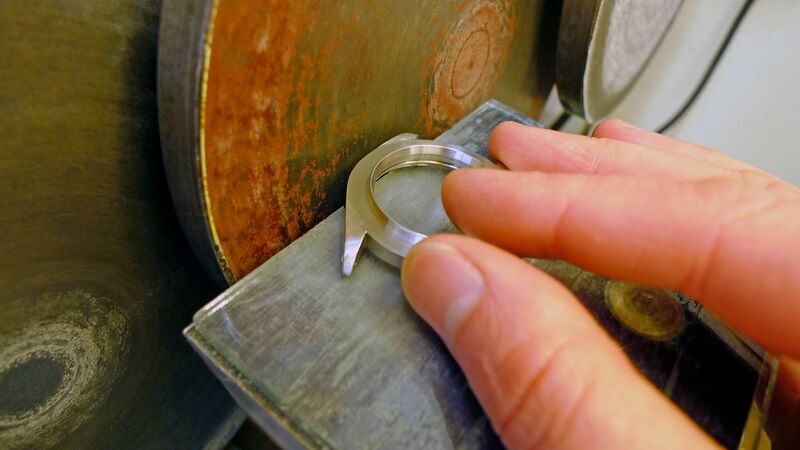 The third disc is a very fine grain and is used for polished areas like polished shoulders on a case. 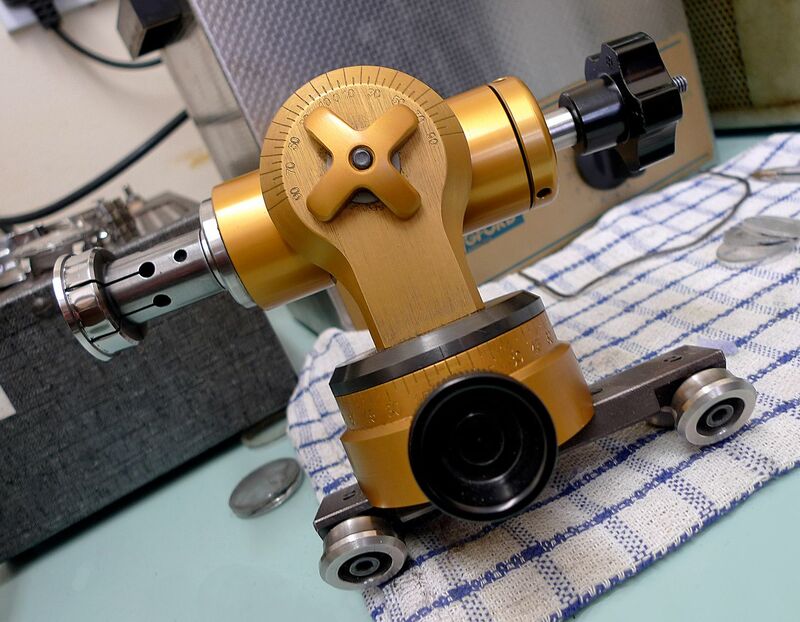 The really clever and immaculately engineered part is the tool that you present the watch to the graining wheels with. It's adjustable to just about any angle and is buttery smooth in those adjustment, I'm pretty sure it's oil filled. It sits on the parallel bars that you'll see in the pic below. This is to keep a constant height when presenting a case to the graining wheels. So here's my first attempt at using it. 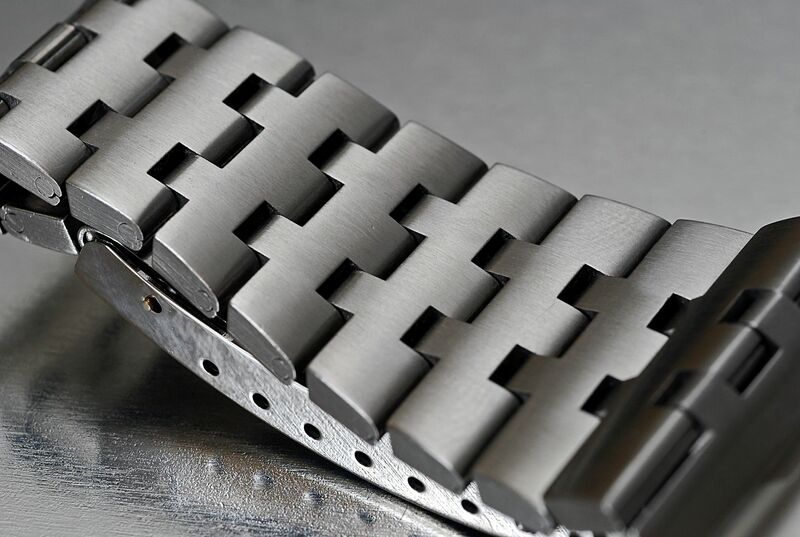 I used the lapping machine to refinish the polished shoulders of the watch, the rest was refinished using a variety of polishing and graining wheels and a bit of manual refinishing. Unfortunately I have no before pics. I'm pretty pleased with the results but kicking myself for not taking any before pics. Huge thanks to my local watchmaker for the use of his machinery and all his help and guidance. Wonderful informative read and great pics as usual, Gary. Keep 'em coming - this stuff is gold for those like me who are naive about the technical side of things. Again, great stuff Gary. I've learnt more reading your threads in the past few months than I ever have in the past few years ambling about the web. Thanks for taking us with you on your watchmakers journey...I reckon you've got a sparkling new career ahead of you. A few people here and elsewhere have asked how you do case sides and shoulders, so here's a quick update. 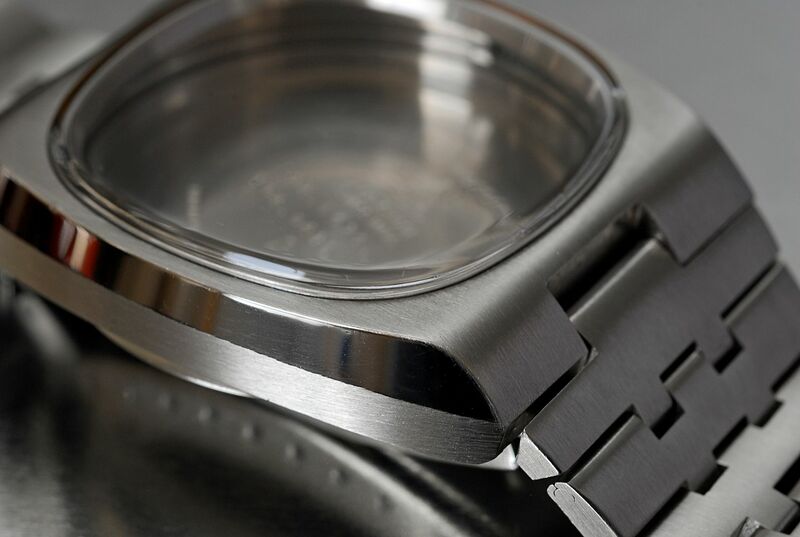 For polished case sides and shoulders you use a table (not sure it's got an official name). 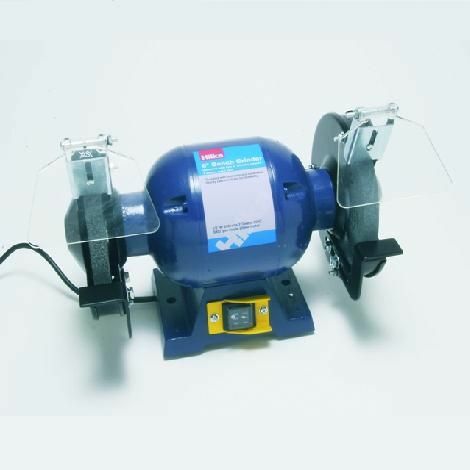 You set the table at the correct angle first then present the case to the wheel using the table. Moving the case manually you do a pass, insect the results and then continue until you're happy. 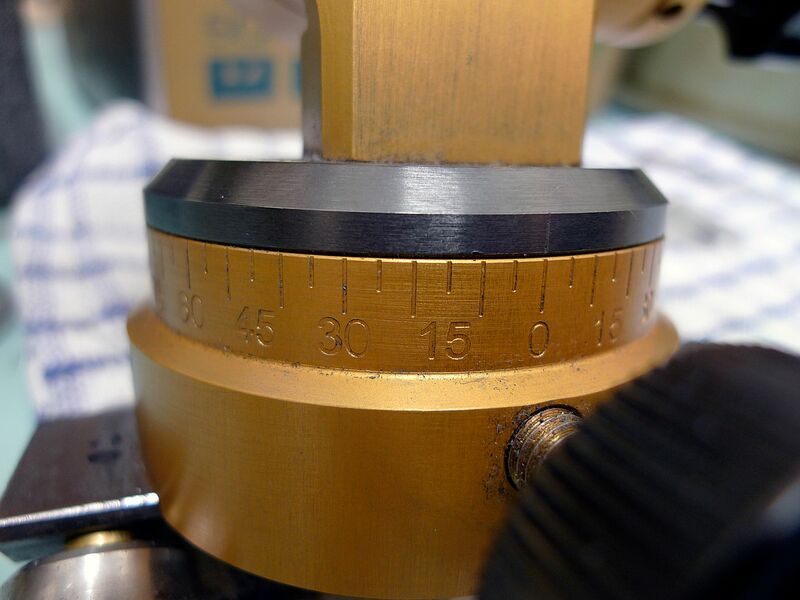 The angle will be completely consistent along the length of the case as you've set the angle of the table. A few pics that will hopefully explain it better. Table placed on the parallel runners and with the angle set. 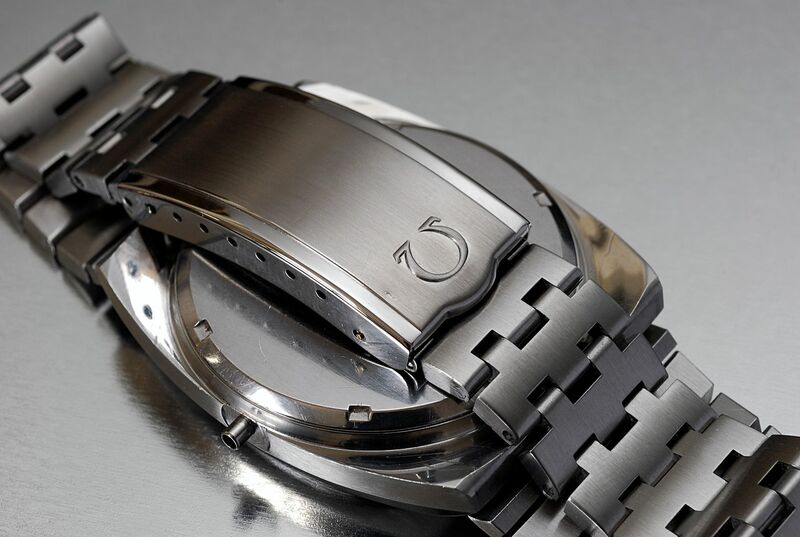 Presenting the case side to the wheel, in this case a Rolex Sub. Knob and gears that set the angle. 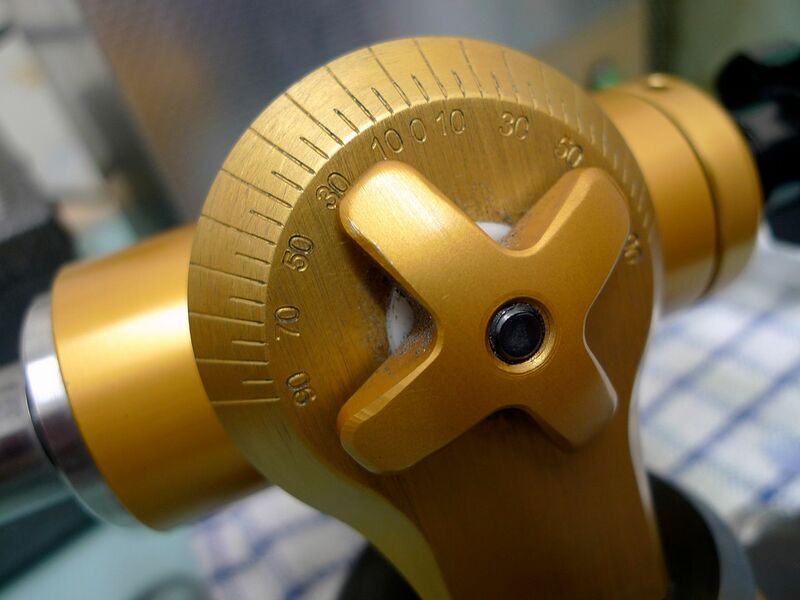 This table jig was hand made by a fantastic local engineer to my watchmakers spec. The official Swiss equivalents are v expensive as you can imagine and not as adaptable as this. I'd imagine if you worked in-house for say Omega, for example, they'd have training manuals with prescribed angles for all their cases. Then it's just a case of setting up either the table or chuck to those angles. 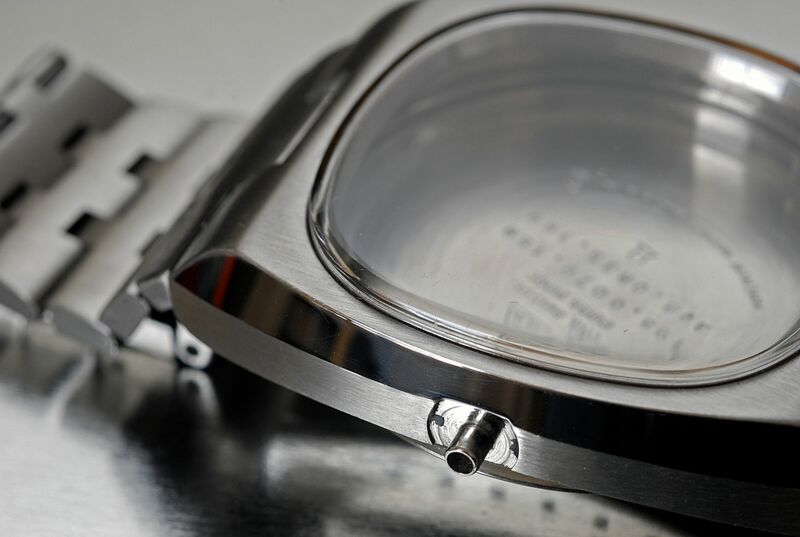 I'd also imagine they'd do them in batches to cut down on setting up time, so Monday is Speedmaster Professional day, Tuesday is Seamaster Professional day etc, etc. 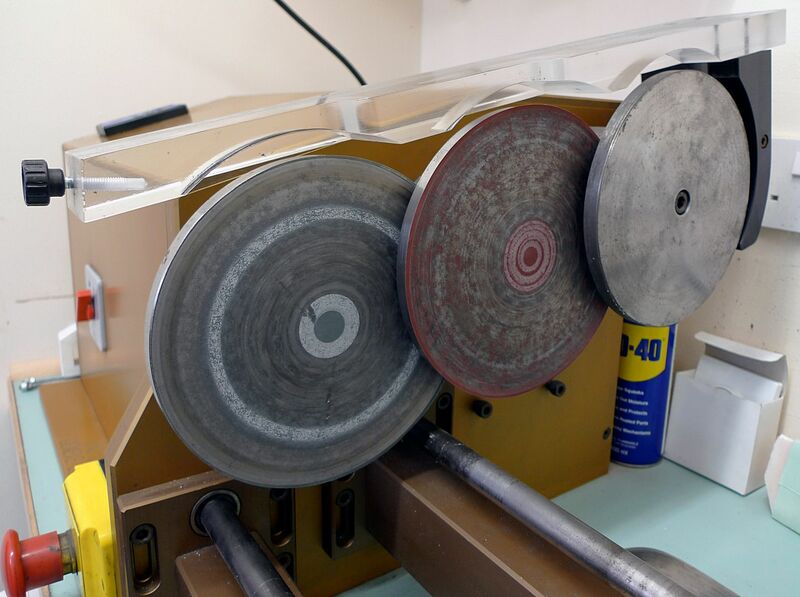 This could explain why there's sometimes long lead times at Bienne for vintage case refinishing, they might be waiting for enough cases to make it more economically viable to set up their lapping machines. They probably have multiple lapping machines too, one for the case tops, one for the sides and one for the shoulders. Last edited by agent orange; 03-02-2013 at 15:33. 1. how do you do bracelets on a machine like that? dis-assembly (I guess not), or carefully manual work without the table. 2. how fast is the wheels turning? it looks like you could seriously hurt yourself on a machine like that. 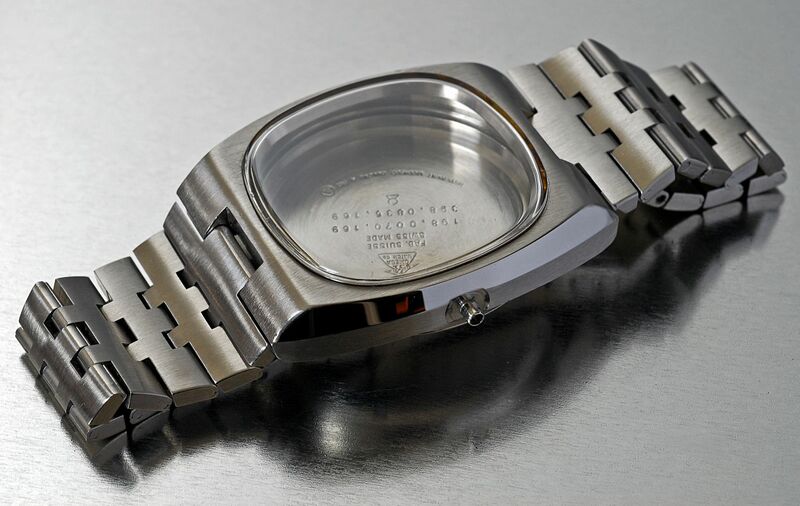 Bracelet and clasps are dome on another machine, a polishing/graining wheel similar to the one below. There's different discs for different finishes and they're interchangeable. 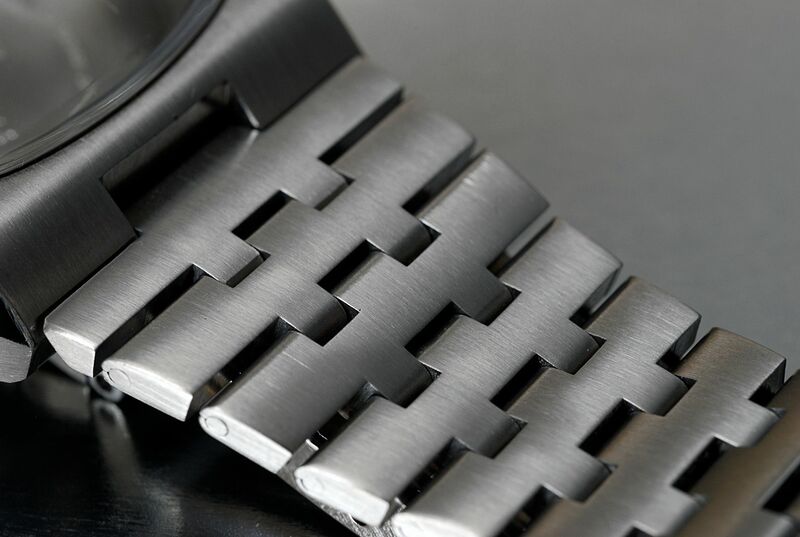 There's no need to dissemble bracelets just follow the direction of the grain on whatever you're refinishing. You control the speed of the lapping machine discs using a separate control panel, sorry I don't have any pics of that. The chuck keeps a very firm grip on the case but you have to be a little bit careful using the table.